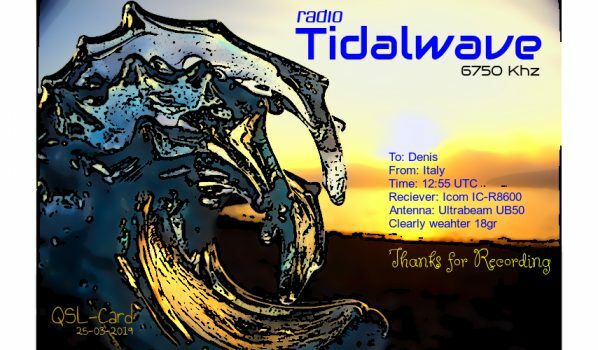 eQSL received by Radio Tidalwave transmission of the 24/03/2019 on 6750 kHz AM. Report sent to [email protected], eQSL in 1 day. Many thanks for the beautiful eQSl Evert-Jan.